The United States cannot remain a global leader in innovation unless its policy and regulatory infrastructure is responsive. 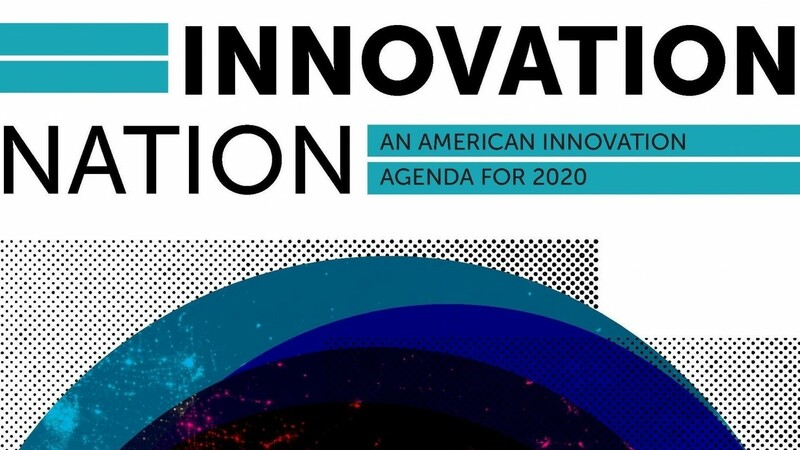 Business Roundtable today released “Innovation Nation: An American Innovation Agenda for 2020,” a set of policy recommendations to secure U.S. leadership in innovation, maintain a robust U.S. economy and increase living standards for all Americans through 2020 and beyond. Innovation Nation—a cross-cutting policy agenda—provides a roadmap for the U.S. to effectively continue to compete for and win the global race for innovation to secure inclusive economic growth and opportunity for Americans. In a rapidly changing world, the U.S. must reaffirm its commitment to innovation and how American workers across all sectors can succeed in a future economy. “This United States is, without question, the world leader in innovation,” said Jamie Dimon, Chairman and Chief Executive Officer of JPMorgan Chase & Co. and Chairman of Business Roundtable. “This agenda offers a bold vision and concrete plan for America to continue on this path—one that invests in people, science and technology and enables and supports entrepreneurship and risk-taking. It’s this mindset that established America as the great innovator—the nation that invented the light bulb, put a man on the moon and changed the world. Business and government must collaborate to maintain this momentum, position its people for success and spur future innovation. Invest in people. The U.S. needs to build a diverse, modern and world-class workforce for innovation across all sectors of the economy. Make strategic, long-term investments in science and technology. The U.S. needs to strengthen foundational research, make strategic investments in science and technology, and deploy enabling infrastructure to sustain dominance in underlying technologies, such as artificial intelligence, quantum computing, advanced robotics, aerospace and advanced medicine. Remove roadblocks to innovation. The U.S. needs to create a regulatory environment that encourages and enables innovation. Position America to compete and thrive worldwide. The U.S. must understand the scope of other countries’ efforts and respond to their actions while promoting market access for American innovations as well as rules to protect those innovations and investments. Pursue inclusive innovation. Innovation activity in the U.S. needs to be pursued inclusively and its benefits shared broadly across diverse groups and communities throughout society. The agenda’s release comes on the heels of the Business Roundtable CEO Innovation Summit, which convened top business, industry and government leaders to discuss why a national agenda is imperative for America’s posture as the global leader in innovation.